Project nomination with the adoption or application of Internet of Things technologies spanning from sensors, M2M, cloud computing, big data, data analytics, to storage, security, mobility, business intelligence etc. with the ultimate goals to uplift business performance and customer satisfaction is most welcome. All winners will have the priority to take part in overseas studytours to showcase their success and exchange ideas with IoT pioneers all over the world. The winning teams of the HK U-21 IoT Awards are nominated for Hong Kong-Taiwan IoT Academia Awards 2014 at the discretion of the panel judges. This cross-border award program was established by GS1 Hong Kong and GS1 Taiwan with the mission to bring recognition to creative young talents in Hong Kong & Taiwan, who are committed to innovating and developing new IoT applications or technological products to realize the many benefits of IoT technology promises for enterprises and our daily lives, and inspire new insights into the industry with the innovativeness and enthusiasm of tertiary students in the respective regions. The winners will demonstrate a high level of originality and creativity in adopting IoT technologies spanning from sensors, M2M, cloud computing, big data, data analytics, to storage, security, mobility, business intelligence etc. with the ultimate goals to uplift business performance and customer satisfaction, and attempting to address a well-defined business issue or daily lives’ problem, which has foreseeable market potentials. The winning case will be an IoT application, integration or product, which is innovative, possesses distinctive features, and may also address market needs. Heavy weight will be allocated for projects developed through partnership between an enterprise and an academic institution. All submitted projects will be judged in both categories. Proof-of-concept projects or projects that have no application or prototype/beta development will be judged in the “IoT Revolution Concept” category only. Projects developed jointly by a Hong Kong tertiary institutions and an overseas tertiary institution are also welcome to submit. All projects submitted will be judged on both “IoT Revolution Concept” and “IoT Revolution Application” categories. Projects which are a proof-of-concept or have no application or prototype/ beta development will be judged on the “IoT Revolution Concept” only. The submitted projects can be conducted by an individual or a group of no more than SIX students. Each student can submit more than one project. Partnership between the academia and the industry is highly encouraged for the project development, while the contribution by students for the project development should account for NOT LESS THAN 75% of total contribution. Partnering companies are required to declare their involvement in the project development. The paper should be able to outline all the required information intended to collect as stated in the submission form. The more details provided about the IoT project for the judging panel, the better understanding of the projects. Participants must be registered students of Hong Kong tertiary institutions and must submit photocopies of student ID cards for verification purpose. Partnership between the academia and the industry is highly encouraged for the projects submitted, while the contribution by students during project development should account for NOT LESS THAN 75% of total contribution. Participants should submit their project in full and all the information required in the application form by the deadlines specified. The organizer reserves the right to disqualify any participants who fail to do so. 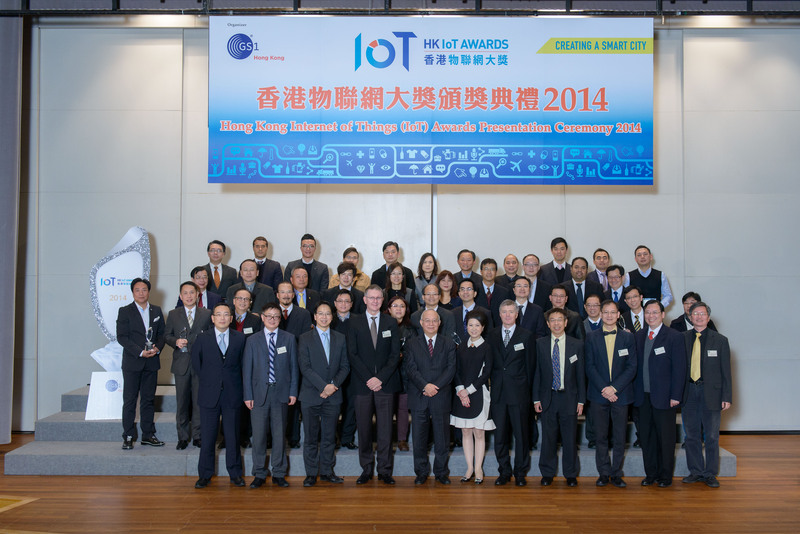 The Hong Kong U-21 IoT Awards will be granted at the sole discretion of the panel of judges. The decision of the judging panel on all results shall be final and conclusive. No appeals will be entertained. All information and documents supplied by participants including identities and commentaries drafted for the judging process will be kept strictly confidential and used solely for the process of assessment in the Awards. All works submitted will not be returned to the participants. Personal data, company/organization information including the logo provided in the course of contest will, during the entire process, be used for the assessment and post-event promotional purposes. The Organizer reserves the rights to publish the works for promotional purposes only. Students will be granted the opportunity to join the Hong Kong U-21 IoT Awards Mentorship Program organized by GS1 Hong Kong and the GS1 Hong Kong Vendor Partnership Program. The Program consists of a group of leading IoT technology companies with the mission to promote wide acceptance and adoption of IoT technology across industries. All submitted projects will be judged in both “IoT Revolution Concept” and “IoT / RFID Revolution Application” categories. Projects which are a proof-of-concept or have no application or prototype development will be judged on the “IoT Revolution Concept” only. 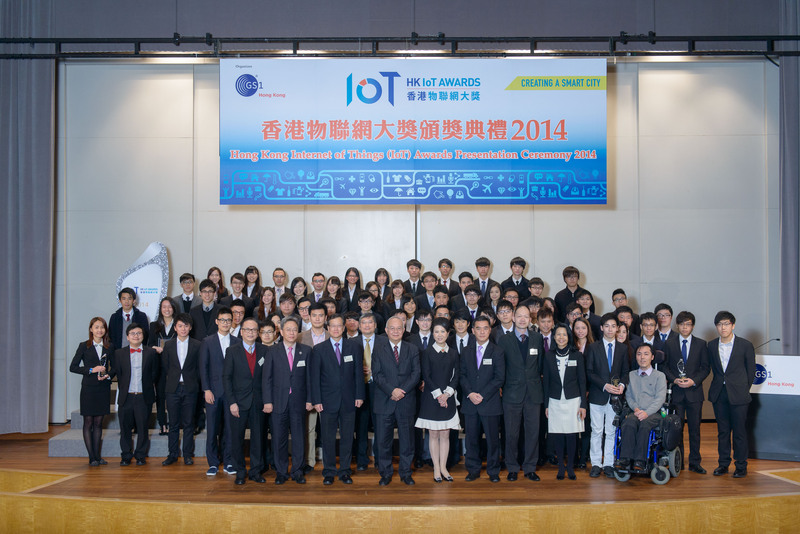 Congratulations to the Hong Kong U-21 Internet of Things (IoT) Awards winners. Final Call for Entry Hong Kong U-21 IoT Awards (Deadline:20 June 2014) Don't miss this opportunity to show your creativity! 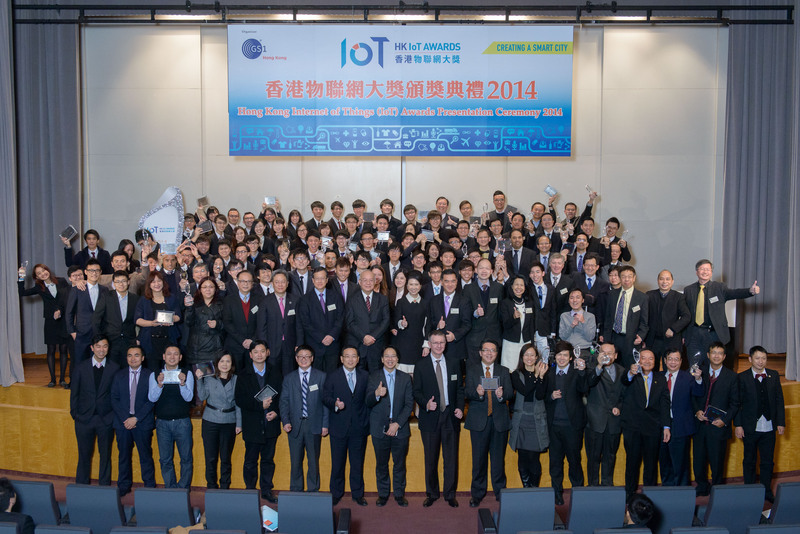 It is the final week for the application of the Hong Kong IoT Awards. Please grab the chance to join this major event! The Hong Kong U-21 Industry Mentorship Program Kick-off was successfully held on 16 May 2014, and was well-received among mentees. They learnt about taking a proactive role in exploring the innovative use of IoT/RFID and gained valuable insights from their mentors on their proposed topics.